For many of us, the sound of the coffee percolating in the morning is the true sign that the day has begun. There is just something about the smell that rises through the house that wakes us up and gets us ready for the day. The caffeine helps, too. It is for this reason that backpackers and hikers often try to find a way to bring this luxury with them when they head out into the outdoors. Backpacking coffee is a little different than the cups of Joe you make at home since you will not have electricity and it is generally speaking just completely impractical to take your coffee maker with you. 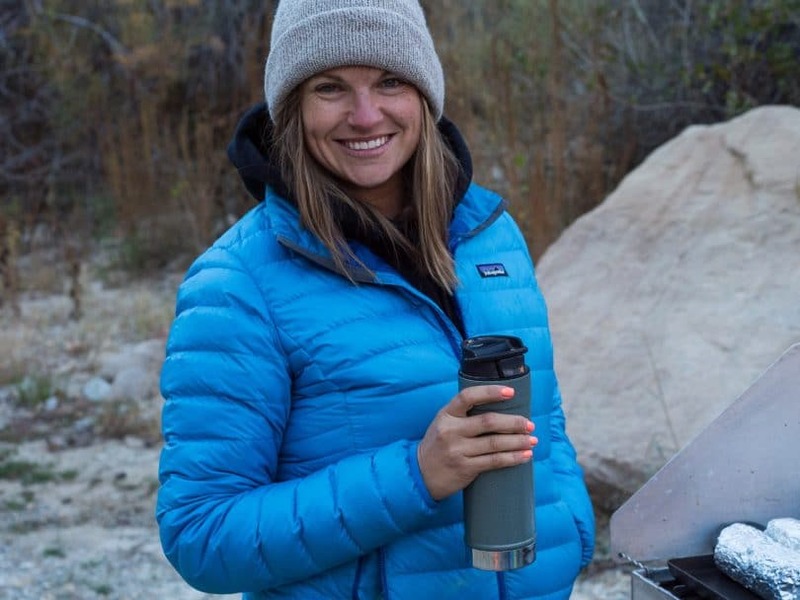 Thankfully, though, there are lots of different ways you can make coffee while you are camping that will allow you to start your mornings in much the same way that you start them at home. 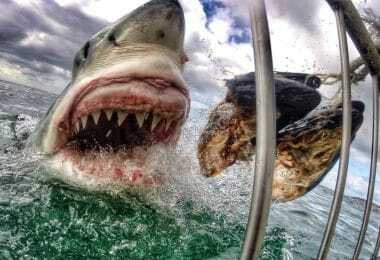 We have picked out some of the more common and more effective ways of doing this and will outline their pros and cons and how to use them for your next trip. This way, the next time you head out you will be able to do so with the comfort that you won’t miss you morning coffee. This method might not really count for some people, but it is an option nonetheless. If you are just heading out for the day, you can make coffee at the house and then put it in a quality insulated water bottle. Some of these bottles are so good they will be able to keep your coffee warm for up to 24 hours. 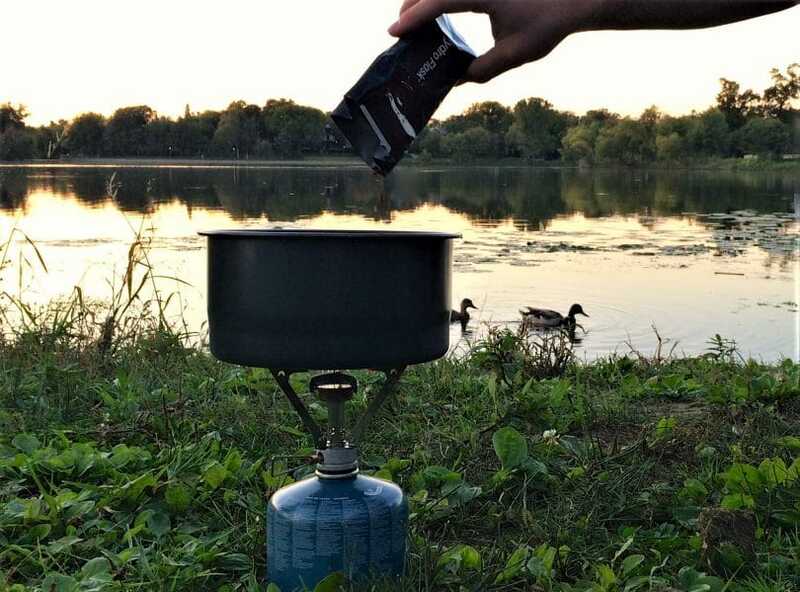 Do check our article on the best camping coffee thermos to keep your brew piping hot. No equipment. If you take the coffee with you, there is no need to worry about bringing a pot or a stove or filters. It is already made and if it is kept in an insulated mug it will be plenty hot. Of course, if you are headed out for multiple days you will need a way to heat it up. No waste. 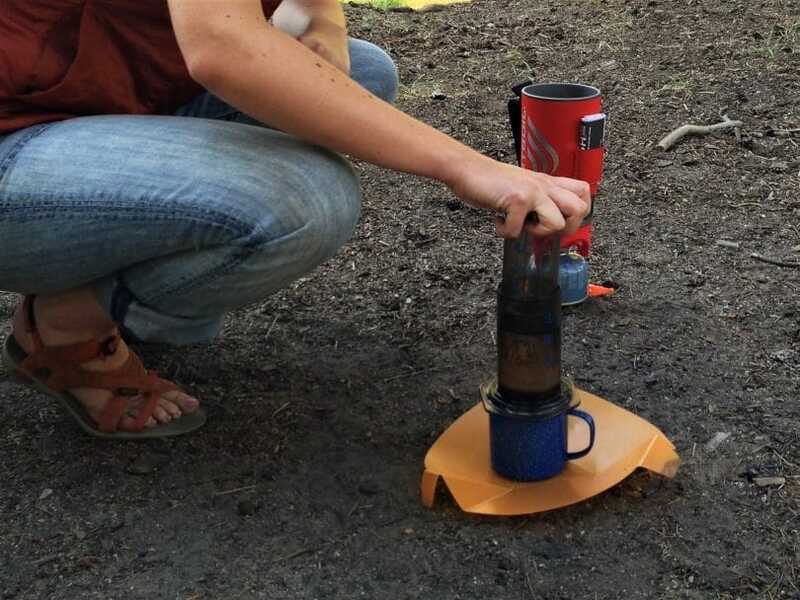 Since you won’t be making coffee on the trail, you won’t need to worry about disposing of coffee grounds or filters. If you don’t want to drink it all you can simply toss it into the dirt since coffee is basically just water. Limited amount. If you are headed out for a few days, you will only have the coffee you take with you. This means if there is a morning you want two cups, you will have one less for later. Many people don’t like to operate with this type of rationing and is what pushes them away from this method. Stale coffee. Most people wouldn’t drink day-old coffee at home because the reality is it tastes pretty bad. If you are headed out for more than just the day, be prepared for some pretty bad tasting coffee. You will need to either have no other option or be very desperate for coffee to forgo the other methods in favor of this one. A lot of us assume that to make coffee we need some sort of a filter because that is what we are used to doing in our normal lives. However, there are lots of places in the world where this practice is not common and you can adapt it for your next backpacking trip to give yourself access to fresh coffee whenever you want it. To do this, you simply boil water and then when it is sufficiently hot you toss the grounds into the pot. You will want to throw about one solid scoop of coffee in for each cup you plan to make. Once you do this, wait a few minutes for the grounds to settle to the bottom of the cup/pot and then you are ready to drink. No extra equipment needed. Most backpackers travel with a pot and a way to boil water since at one point or another you will need to cook. Using this method requires that you bring coffee grounds with you and nothing else. No filters, machines or other special gear. When carrying everything on your back this is a great thing for keeping the weight of your bag to a minimum. No extra waste. Since all you are doing is tossing the grounds into some boiling water, there is no need to worry about waste. You won’t have to think about packing out coffee filters or packaging. If you take the grounds in a reusable bottle you really won’t need to worry about this. 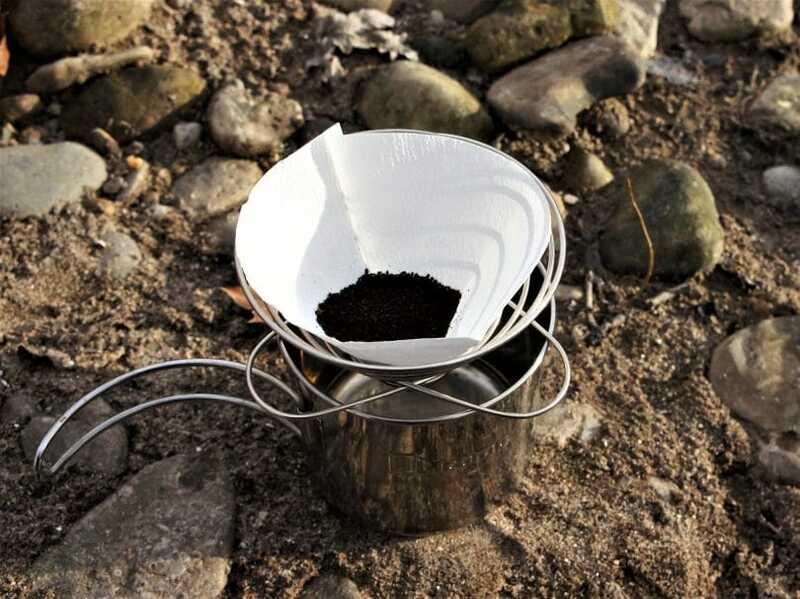 The only waste that is generated is coffee grounds, but this is biodegradable. Be careful on this, though, since some places still require you to pack out this type of waste. However, in general, this is a huge advantage of this method. Strong coffee. This method tends to produce a rather strong flavor. If you are someone that doesn’t like this bitter taste, you need to either make sure to bring sugar or think about adding much less coffee. With this method even a little coffee makes it quite strong. However, on the other side of things, if you like it really strong, you can make Turkish coffee. To do this, after the grounds settle to the bottom, boil the coffee again. This will give you an energy shot like no other. Gritty. We’ve kind of already hinted at this. By not using a filter the grounds will collect at the bottom of the mug or the pot. You can transfer the coffee somewhere else, but it is likely that some of the grounds will carry over and as you get to the bottom you will feel more and more in your mouth. In general, this isn’t a huge issue, but forgetting about this can make it an unpleasant experience as you try to throw back that last sip quickly. Some diehard coffee fans consider this method cheating, but the reality is that it is super practical and is one that should be considered. Typically, instant coffee gets a bad reputation for being bitter and for having a poor taste. Although it is true that it is not as high-quality as your local coffee shop, this type of coffee has come a long way and is now more than acceptable in emergency situations or when you are traveling or backpacking. You can pick up either a large bottle of instant coffee and put a few scoops into hot water whenever you want a cup. Or, you can pick up boxes of individual servings. These are great because you don’t need to worry about carrying around a heavy bottle. However, beware. Many brands include creamer and sugar in these individual packets and do so in alarming quantities. If you are someone who drinks your coffee black or just likes a touch of sugar, keep an eye out for the ingredients on these single-serving products. It’s instant! Somewhat obvious, but this is a huge advantage. All you need to do is have water (you don’t even really need hot water if you don’t want it) and a cup of coffee is just seconds away. This is great because if you are boiling water for cooking you can just steal a little water and make a cup of coffee without having to dedicate time to boiling water specifically to drink. Instant coffee makes you very versatile and means a cup of Joe is never far out of reach. You control the strength. Like strong coffee? Or weak? With some of the other methods we are discussing, it is somewhat difficult to control exactly how strong the coffee is that you are drinking. With instant coffee, you know exactly what you are getting. Two scoops are typical, but if you want it stronger or weaker all you need to do is adjust the amount you add to water. It is as simple as that. Let’s take a look at the other side and examine some of the downsides of instant coffee. Individual packets accumulate. If you decide to go for this option, you will quickly have a garbage issue on your hands. Imagine four people each having one or two cups of coffee a day over the course of three or four days. By the end, you will be carrying around 20 little packets. Keeping track of them is hard, which could lead to you leaving them behind and disturbing the natural environment. To avoid this, simply bring a sealable plastic bag for garbage or consider taking a larger bottle of instant coffee that is easier to keep track of. It is not real coffee. No matter how much better it has gotten over the years, it is still just simply not real coffee. There is something about it that isn’t quite right and many avid coffee drinkers won’t touch it. If you’re not used to it, you will need a few cups to adjust. In the end, it isn’t that bad, but remember that you are not drinking your usual cup from the house and that you are instead substituting based on your environment. Those of you at home with coffee makers have are more than familiar with these. Well, you don’t need to have your fancy coffee maker with you in order to copy the process. 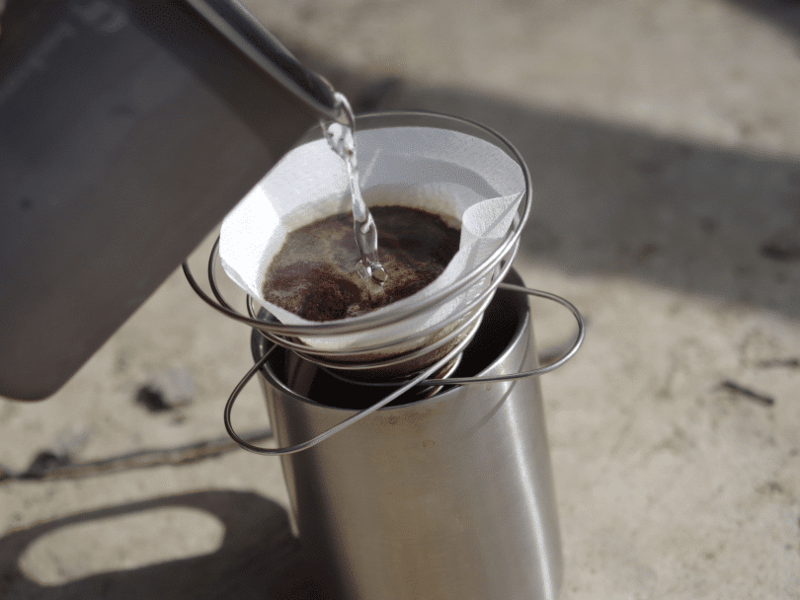 You can bring either your reusable filter, usually made of mesh or plastic or your traditional filters along with you on your next backpacking trip and use them to quickly and easily make coffee. Simply warm up some water and place the filter over the mug or pot where you want your coffee. Fill it with grounds and gently pour the hot water over it. Do this slowly so that the water has the chance to filter through and acquire the flavor. If you are using traditional filters, you will need to be careful as the water will affect the paper easily. You will need something to support it. Well filtered coffee. This is basically the 19th century way of doing the exact same thing that your coffeemaker at home does. If you are patient and pour the water slowly over the grounds, you will be able to produce something that will be surprisingly similar to what you drink at home. Don’t expect exactly the same thing, but it will be pretty close. 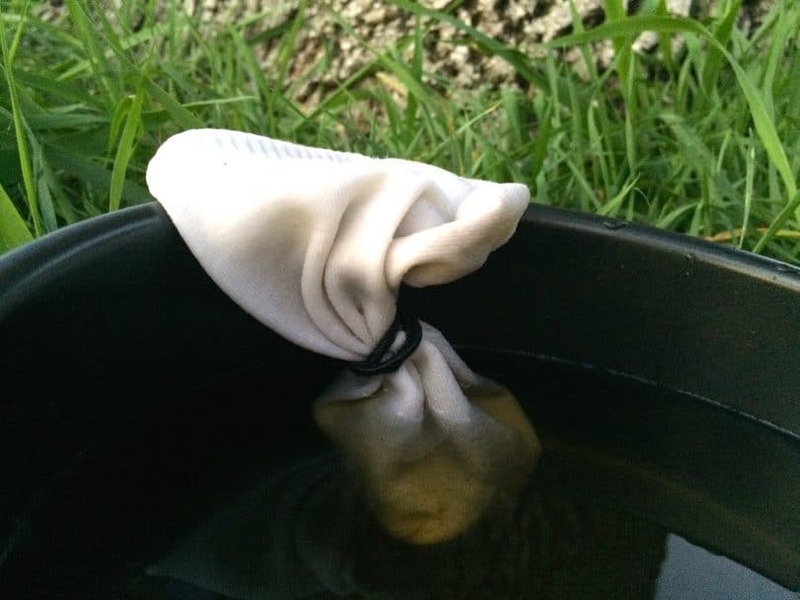 Reusable filters are easy to clean and produce no waste. Again, the only real waste being produced is the coffee grounds, which can be disposed of easily in most areas due to them being biodegradable. However, the same cannot be said for paper filters. If you choose to use this method you will find yourself with the same problem as the instant coffee packets. After a few days, you will be carrying around used coffee filters, which could become a mess and an overall pain. Take up space. Reusable filters tend to be somewhat awkward shaped and you could have trouble making space for it in your bag. In general, they are not heavy at all, but if you are someone that packs their bag to the brim, finding room for this object could be an issue. Waste. 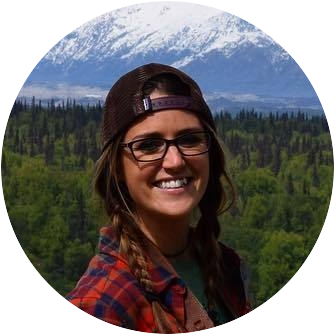 As we mentioned above, traditional filters can leave you with a serious waste problem that you need to be prepared for, especially if you are heading out for a longer, multiple-day backpacking trip. This is a great method if you are going to be making coffee for a large group. It is quite simple, take a coffee filter, or really anything for that matter (you could even use a towel or handkerchief if hygiene isn’t a big issue) and fill it with the number of scoops you need. It’s usually about ½ per cup. Makes big quantities. Many of the methods we have talked about work best for single-servings. This way of making coffee is great because you can make a large amount for a bigger group of people. The only limit is the size of the filter you use. Larger, more durable paper towels could allow you to make lots of coffee all at once. Doesn’t require any real extra equipment. Aside from the pot and pan that you are using to boil the water and the mugs/cups. You don’t really need anything that you might not already bring. Coffee filters might be the only thing, but they are so small and light you need not worry about them taking up too much space or weighing you down. Weaker coffee. This method is pretty untraditional and it goes against the typical logic of making coffee. Because of this, the coffee that comes out tends to be a bit weaker than expected. You can add more grounds, but it will likely always come out a little short of expectations. Waste. Again, carrying coffee filters with you and using them means you will have to figure out what to do with them when you are done. 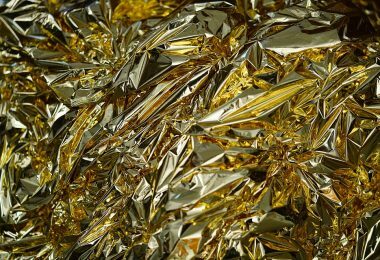 Because you can make larger quantities, waste might not be a huge issue as compared to other methods, but it is still something worth considering. The last method we are going to look at requires some special equipment and is going to cost you more money. However, that being said, it does produce some pretty top-notch coffee. To do this method you can use a French press or an aero press. Both work in basically the same way. You add the coffee and then hot water and then use the pump mechanism to force the water through the coffee grounds. This will quickly and easily produce espresso style cups. Let’s take a look at why this method might be good for you. The coffee is great. Many fancy coffee shops sell this type of coffee at premium prices so if you choose this method you will be making absolutely no sacrifice while out backpacking in terms of coffee. If you are someone that simply cannot accept subpar coffee, this might be the method for you. Easy, fast and clean. Once the water is boiling, you are literally just seconds away from you hot cup of Joe. When you have it, clean up is easy as the only thing left over is the grounds. There are no filters or other pieces of garbage to worry about. ­Weight. French presses tend to be rather heavy. 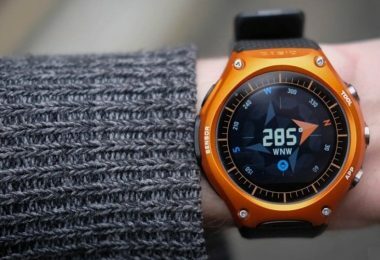 If you are heading out for a multiple day hike, this piece of equipment might be best left at home. 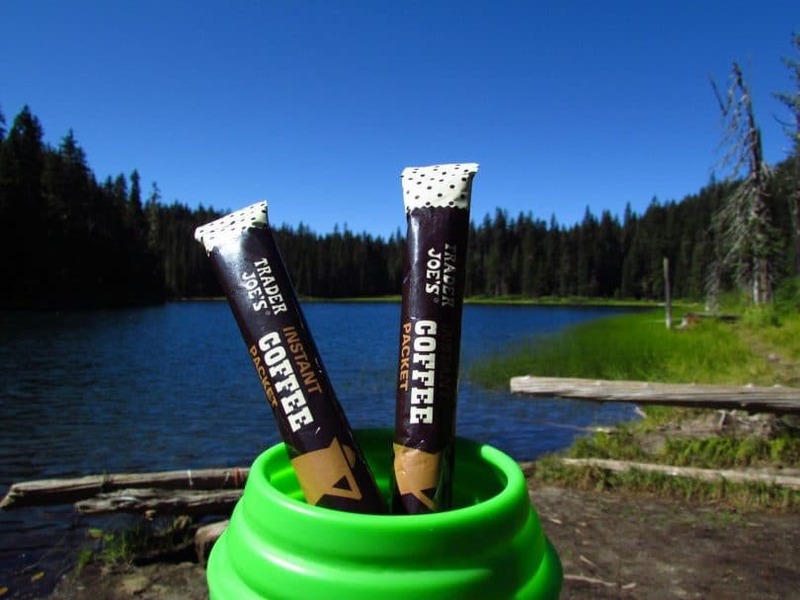 It might be tempting to have such quality coffee on the trail, but you will likely regret it later when your bag is weighing down your shoulders and you are looking to shed some weight. Price. Aero presses aren’t too expensive, less than $20, but a French press can run you upwards of $50. This might be too much for a piece of equipment that is at risk of breaking on the trail or that is going to wear you down. It might be better to save this for the house and instead use one of the other methods that will cost you way less money. 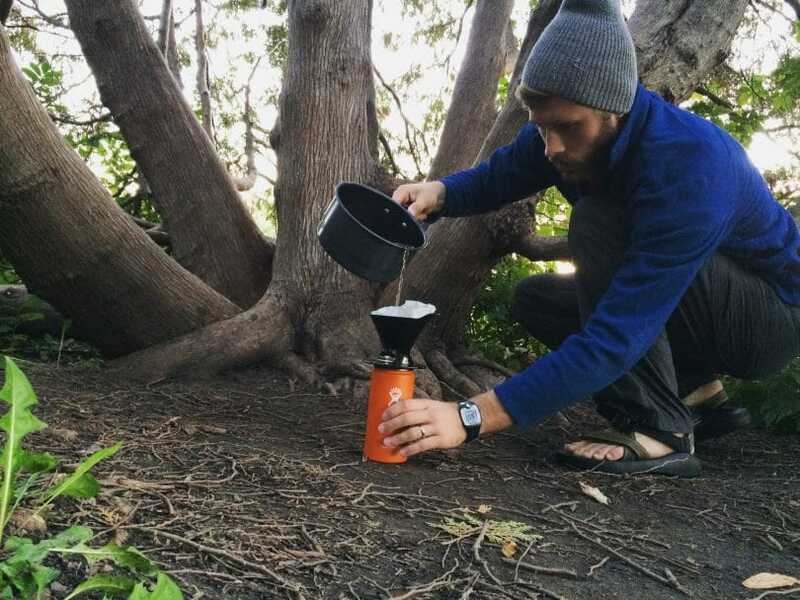 So those are some of the most common ways that you can make coffee while you are out backpacking. It depends a lot on where you will be going, how long you will be gone for and how picky you are about the taste. However, no matter what, there is a method that can work for almost any type of coffee drinker so take a little time to think about which would work best for you, make sure you have the necessary supplies and then head out there. Nature is waiting. 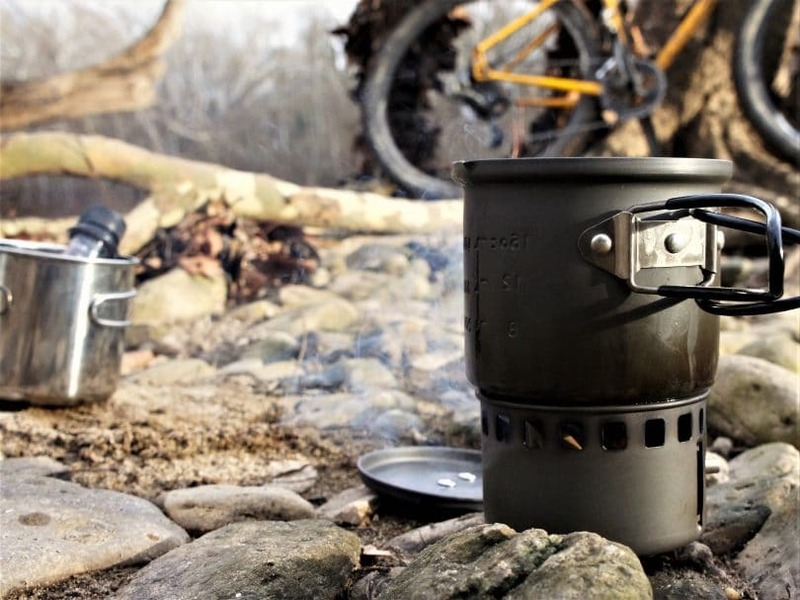 For the best camping coffee maker, read our article on this invigorating topic! What did we miss? How do you make coffee when you are out backpacking? Have you used any of these methods? What did you think? Send along your experiences so we can share them with others and all figure out what works best for us. Best Warm Socks: Say Hello to Your Warm Feet!